How can small businesses survive the cash flow clamp down? For many businesses, there are times in each monthly or quarterly cycle where cash may be flowing at a trickle and a little financial help is needed to make payments; but it is harder and harder to find banks that are prepared to help loosen the faucet through a loan or line of credit unless excellent financial performance and past history can be clearly shown. This is a common problem facing all sizes of business, but while it may be just an irritation for larger corporations, it is a real danger zone for small or start up businesses. These businesses in need of capital are often overlooked by banks and subject to a one-size-fits-all approach. Simply put, it is the inability to get money when you need it for growth or just to pay the bills. Even business borrowers with plenty of cash-flow, net worth and collateral have a tough time finding bank loans. After years of bank consolidations and bail outs, the banking industry just doesn’t have the backbone it used to have. The flexible relationship with your local savings and loan is non-existent in the Big Banking industry of today. It certainly used to be more acceptable to pay down debts or bills slowly, and banks were more comfortable about extending repayment terms on loans and lines of credit, even a couple of late payments would be forgiven. This trend seems to be a thing of the past. Banks are reluctant to release the hold on the purse strings and are closing or reducing lines of credit. 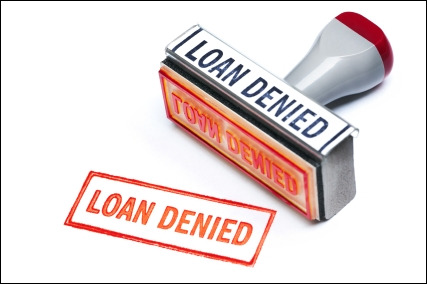 Extended payment on loans seems to be less popular as it is seen as an indication that a borrower can no longer pay their debts. This is not the only challenge for small businesses. The initial excitement of landing a large client can often be overshadowed when those same customers begin to pay their invoices late. Large businesses may make the collection process complicated and many small businesses must jump through hoops to receive payment on money they have earned. They are prepared to accept late payment simply because they do not want to lose customers and they know large companies will eventually pay their bills. While payment may be a sure bet, the tardiness on collection can become incredibly tiresome. Invoice factoring now has a much broader appeal, as it is the perfect answer to the problems listed above. Factoring your accounts receivable can be used as a short-term answer to meet temporary cash flow needs, or as a regular answer, by factoring on a long-term basis. Flexible – Credit line generally approved based on business growth. Funding can be approved in as little as 24 hours to assist with unforeseen cash flow problems. Copyright © Bay View Funding. All Rights Reserved.